People gather on Copacabana beach, a landmark tourist destination in Rio, on February 26, 2016 in Rio de Janeiro, Brazil. The Zika virus outbreak, which may be linked to a surge in microcephaly cases in the country, is threatening tourism in Brazil which expects to profit from hundreds of thousands of foreign visitors traveling to Rio de Janeiro during the Rio 2016 Olympic Games. The World Health Organization (WHO) has declared the outbreak, centered in Brazil, to be a 'public health emergency of international concern'. The potential impact of the Zika virus on the Rio Olympics is making daily headlines, but tourism experts say Brazilian officials still have time to make sure visitors will feel comfortable heading to the Games. “It will depend on how prepared Brazil is to deal with Zika. 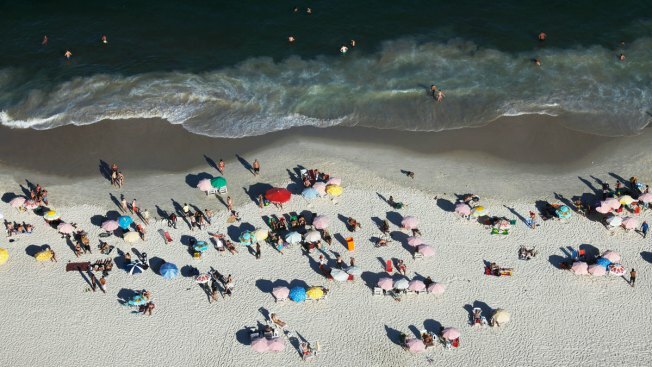 If they show a response that they can manage the situation they won’t lose a lot of people,” said Lori Pennington-Gray, professor and director of the University of Florida Tourism and Crisis Management Initiative. Those thinking about going to Rio will want to know how well-organized Brazil is, and Brazil will have to do a good job communicating its preparations to potential travelers. Specifically, that information will have to get to leisure travelers visiting the country for the first time, she said. But preparedness won’t be just about information, Pennington-Gray said. It will also be about making sure the country doesn’t run out of bug spray, for example. “If they don’t do a good job preparing a response, it sends a message to the tourists that they might not be ready,” she said. In a recent online survey of 300 travelers by the Crisis and Management Initiative, (HealthDay News), 90 percent of respondents said they plan to keep their international travel plans, while 44 percent said they would take extra precautions to protect themselves. Jeffrey Eslinger, president of the Travel and Tourism Research Association, based in Whitehall, Michigan, said a lot of travel decisions will be made at the last-minute before the August Olympics, as more information becomes available. Brazil was awarded the 2016 Summer Olympics and Paralympics by the International Olympic Committee on Oct. 2, 2009. It is the first time that a South American country will host the games. One challenge presented by the Zika virus, which has been linked to birth defects, is how its person-to-person transmission is evolving. When Zika cases began to be reported in May 2015, most transmissions were from mosquito bites. In late January, however, the CDC began tracking Zika cases in the United States from people infected by their sexual partners who had traveled to Zika-infected areas. The Centers for Disease Control recently released travel guidelines, which recommended: visiting a doctor or health provider about vaccines and medicines recommended for Brazil; packing a travel health kit; and monitoring the travel warnings and alerts by the U.S. Department of State, just to name a few. The World Health Organization now has 30 countries from Central and South America listed under the Zika epidemic travel alert. Veterans of the travel industry have been through health scares like this before, with Ebola and SARS, among others. “There have always been concerns with health, but as experienced travelers are more cautions, those who travel more frequently know what to do before and where to research before going. And the industry itself has proven to be very resilient,” Pennington-Gray added. Tourism experts like Joao de Matos are confident that the areas where the tourists and athletes will be staying are going to be in perfect condition. De Matos is the owner of BACC Travel, a New York City-based agency specializing in travel to Brazil. As an agent, de Matos is seeing first hand how the health crisis is affecting multiple demographics. Its impact touches business executives, first-time visitors and Brazilians. De Matos said that once in Brazil, in big urban areas like Rio de Janeiro, Copacabana and Ipanema, people will be safe. He is confident that the government will continue to search for breeding grounds of the mosquitoes and eliminate them. But at the same time, peak travel season for Brazil has just ended, and the Olympics will be held during the winter months, when the mosquito population will most likely be less active. De Matos added that dengue fever is also in Brazil, and that people are very well informed on both. “The industry has survived SARS, and dengue fever was here during the World Cup. Most guests will be in five-star hotels and urban areas, where it is unlikely you will be bothered by mosquitoes,” he said. Airlines like Delta, which has 31 flights a week to Brazil, anticipate that the demand will remain the same and have not seen any shifts in the last three months. “We are particularly focused on expanding U.S. demand to Brazil within the context of currency being favorable for foreign travelers, the Olympics coming up and the special visa waiver program currently available,” wrote via email Luciano Macagno, Delta’s director for Brazil.